The day after “The Man Trap” launched Star Trek on NBC, the early Nielsen ratings returns were in. Star Trek had grabbed 46.7% of the viewing audience. It was a sensational premiere. 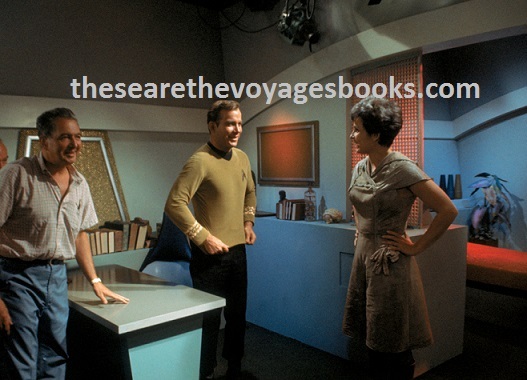 Read more about the making of “The Man Trap,” and all the episodes of the original Star Trek, in the Saturn Award-winning book series, These Are the Voyages: TOS, Seasons One, Two and Three, by Marc Cushman, available here.